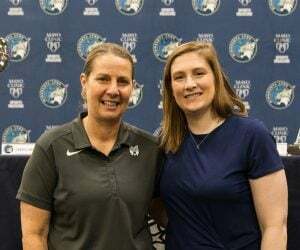 The Minnesota Lynx and the Los Angeles Sparks will battle once again on Tuesday night in Game 2 of the WNBA Finals at Williams Arena in Minneapolis. This is pretty key for any game, but after watching Game 1 between the Lynx and Sparks on Sunday, Tuesday’s Game 2 will come down to who gets more stops before the final horn sounds. On Sunday, specifically in the fourth quarter, both teams traded baskets rather easily without the defenses stepping in to get a stop. The two teams shot nearly the same from the field in Game 1, with Minnesota shooting 50 percent (35-for-70) and Los Angeles shooting 47.8 percent (33-for-69). It will be worth watching to see which defense steps up in the game, and most importantly late in the game, of Tuesday’s Game 2 in Minneapolis. 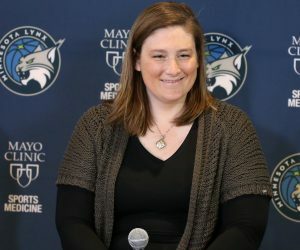 The Lynx referred to their start on Sunday afternoon in Game 1, where they trailed by as much as 26 points midway through the first quarter, as “unacceptable,” adding that can’t happen again on Tuesday. It will be interesting to see how Minnesota comes out of the gate in Game 2 and if it will come out with more energy early on in the game. 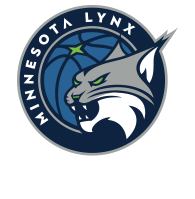 On Sunday, the Lynx trailed 32-11 after the first quarter. But, in the final three quarters, Minnesota’s energy level clearly over-matched Los Angeles’ and the point differential backed that up. In the three quarters to close out Game 1, the Lynx went on to outscore the Sparks 73-53 and get back into the game. 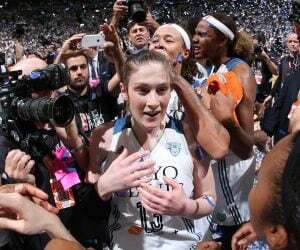 The Lynx will look to continue to build off of those final three quarters in Tuesday’s game. For the Lynx in Game 1, the player that stood out off of the bench was Jia Perkins, who finished with six points, five rebounds, three assists and three steals in 27-plus minutes, recording a plus/minus of plus-25. It will be key for Minnesota to continue to have at least one player off the bench have that type of impact on the floor and help spark the team during Game 2. The four bench players that saw playing time in Game 1 for the Lynx were Perkins, Renee Montgomery, Plenette Pierson and Natasha Howard. Those are four players I’m going to be keeping an eye on throughout the course of Game 2 on Tuesday. 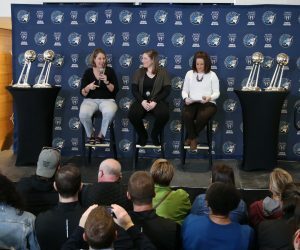 The Lynx and Sparks tip off Game 2 at 7 p.m. (CT) on Tuesday night at Williams Arena. The game will be aired on ESPN2 and can be heard on 106.1 BOB FM, TuneIn Radio and the Lynx App.